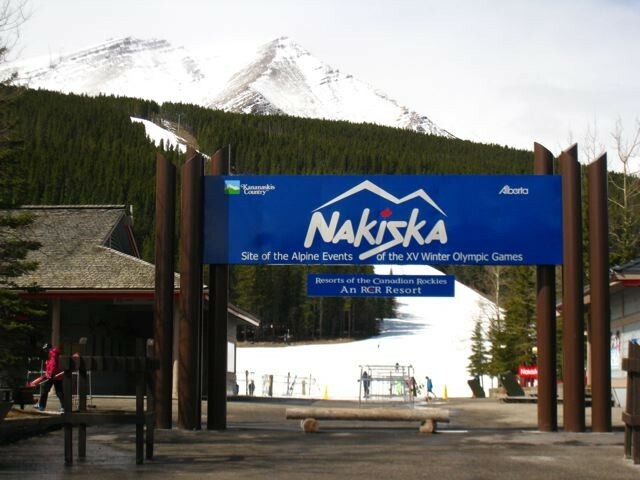 What's the weather forecast for Nakiska Ski Area this week? Check out the long-range weather forecast for Nakiska Ski Area, including temperature, predicted snowfall and wind details at the summit and base throughout the day for the next week. Tab over to overview or Hour by Hour for alternative views of the Nakiska Ski Area weather forecast. Get Snow Reports, Powder Alerts & Powder Forecasts from Nakiska Ski Area straight to your inbox! decent snow on front softening up to soft slush in afternoon. Paid full price for ticket but lounge was not open had lunch with 150 school kids. No apres ski, no high balls. Brought non skiing guest who had to sit on picnic tables all day. No comfy chairs and no fire place. Why should end of season be different than begining of season. if your open you should be open. Full price ticket means facilities should all be open. Only magic carpets and learner lift (bronze) open today. So basically closed for today. It’s cold but there’s lots of fresh powder. Awesome conditions today. 11cm at bottom and double that in glades. Wicked powder day. Coverage is good. 11cm o/n and it is great today! Not busy at all and the coverage is great! New snow today, 15 cm over the past 24 hours and it was noticeable. Good coverage on Olympic, Silver, and Bronze. Higher runs still need snow. Was there on Boxing Day and spent the afternoon in the glades. With 7cm of fresh snow, they were in great shape. Groomed runs were good. The top of the Gold was a little icy. Needs more snow! !